Maybe instead of turning console off. Load into another online session. Or restart your game. Chased down 2 turkeys and freeaim killed both with the varmint rifle. Found out both were 3 stars. I think they sold for like 2 bucks each but pretty cool since I never seen 2 of anything 3 star side by side. Found some time yesterday to have a solo session. Finally had an ambush situation in free roam. I would of preferred a gang hideout to spawn up. 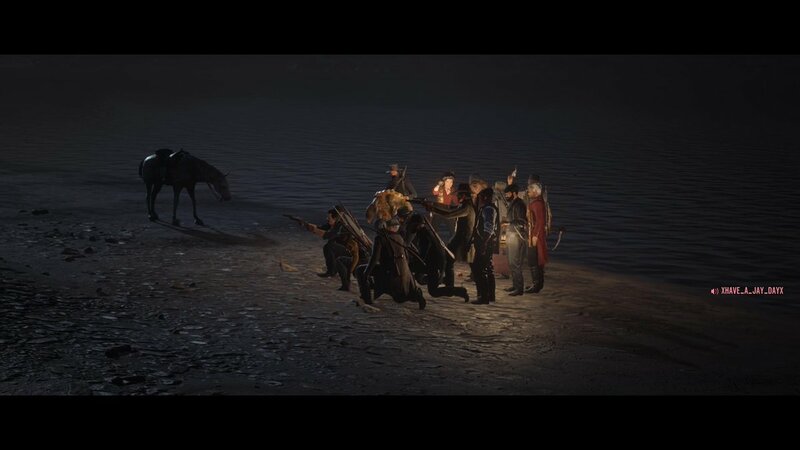 Waited out some bandits and then looted them. Collected a treasure map as well. I'm looting treasure maps left and right now, when before I did never get any from hideouts or strangers so that alone for me is already sign of a good session. Got 5 over the last 2 days don't know what the heck is going on but I'll take it. Or just respawn a few times. Generally works after the 2nd or 3rd time for me. 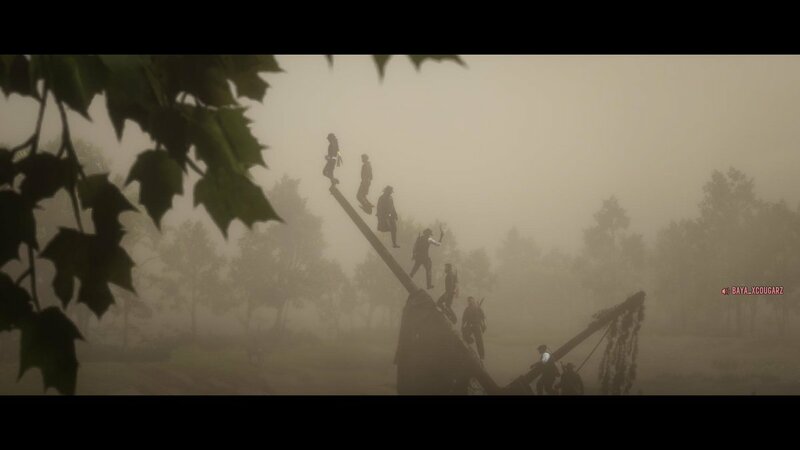 but be aware, once it worked after respawning only for me as posse leader, but for none of the other posse members. so you also might want to advice your members to respawn too. 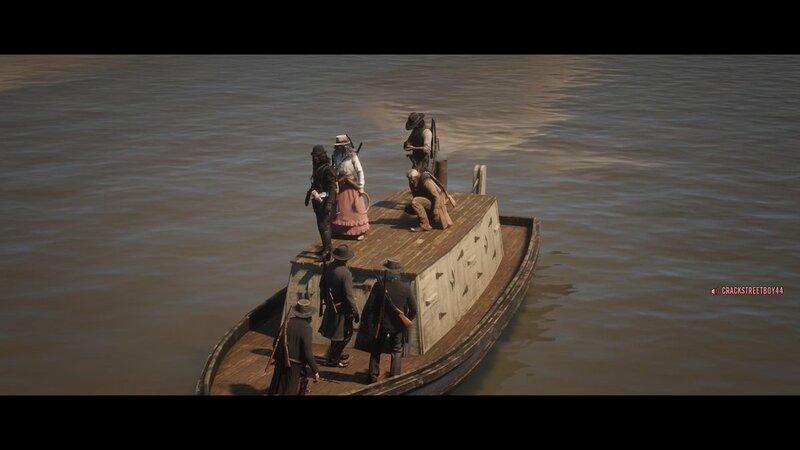 Me and and friend got a posse assassination mission last night. Usually if the targets are lower level, we just gallop off away from the player to let the timer run out. 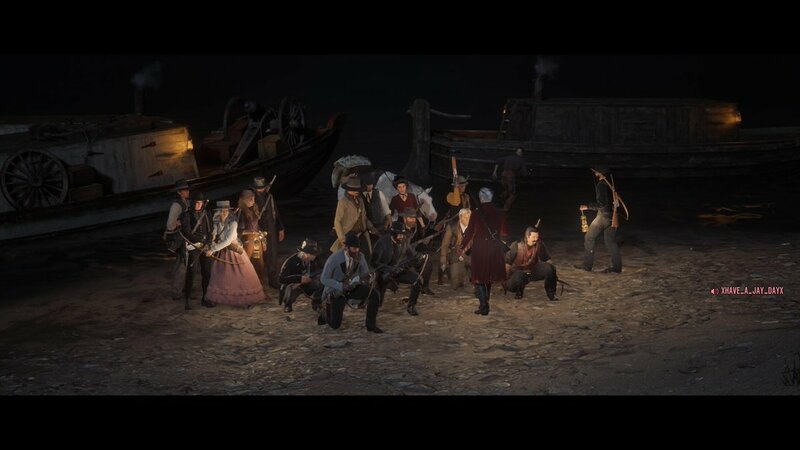 Last night this posse had two members above level 100. We sped off in their direction and they seemed surprised. My posse mate took them out quickly with explosive slugs. Of course they weren't going to leave us alone. The next 30 minutes were an epic battle (at least for me because I really don't like PvP). We stood our ground and ended up probably 50-50 on kills. I had to parley because my hands were absolutely destroyed from using my controller (diving, dead eye, switch weapon, lather rinse repeat). We waved goodbye and went to camp. Most fun I've had in a while. Same here I have 4 right now and have no idea why they ended up there. Haven't done many hideouts or seen them appear while looting. Logged in just outside Strawberry, two player posse had just started a mail delivery. They'd each left town with a bag and a third was sitting at the post office, so I swiped it and took off. One guy did the smart thing and just kept going with what he had but the other opted to chase me. Caught up with me as I dropped my bag off, I shot his horse, shot him, grabbed his dropped bag and delivered that too. 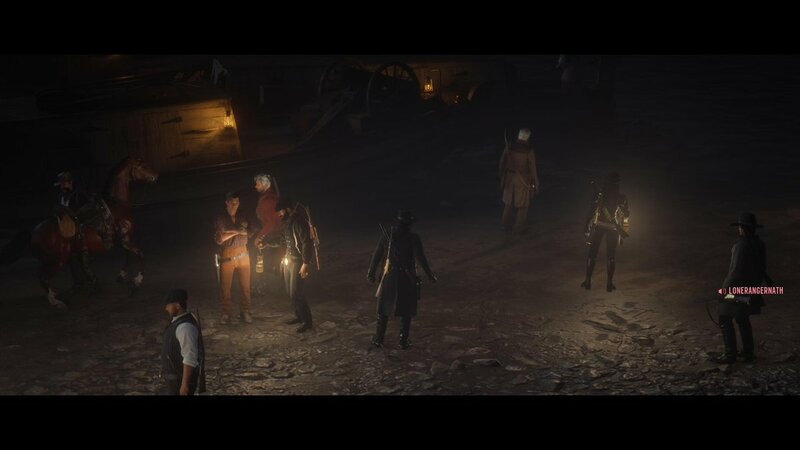 They were pretty sore about it and chased me for a while but couldn't keep up (Foxtrotter stamina ftw) so I headed into Valentine and went to see The Boy, who assigned me an Assassination on, guess who? The other member of that posse, the one who got his bag delivered. So, after a long endurance chase (Foxtrotter ftw again) I caught up and got the kill with about 30 seconds to spare. The XP from that got me to level 75, so I picked up my treasure map from the post office and it sent me way out west of Tumbleweed. 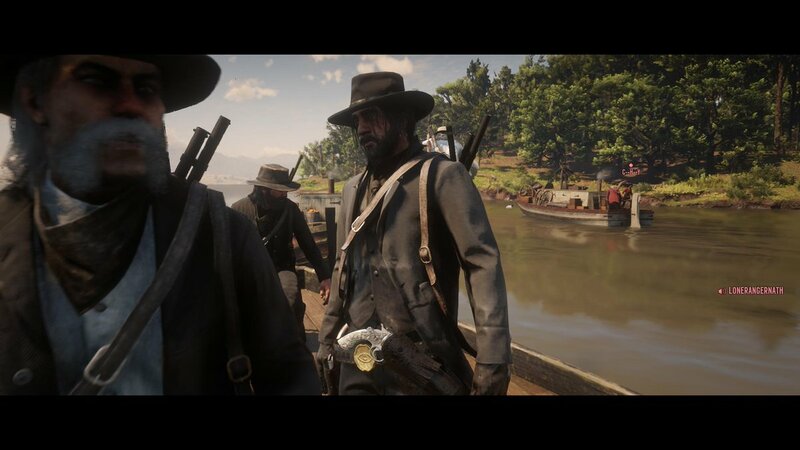 Got the loot, and went on a marathon hunting expedition from Tumbleweed to St. Denis, selling loads in stages at Tumbleweed, Blackwater, Valentine, Rhodes and capping it off with a few rounds of the plume hunting circuit. @Zoobz planned a RDO boat meet on Twitter and we had it yesterday. 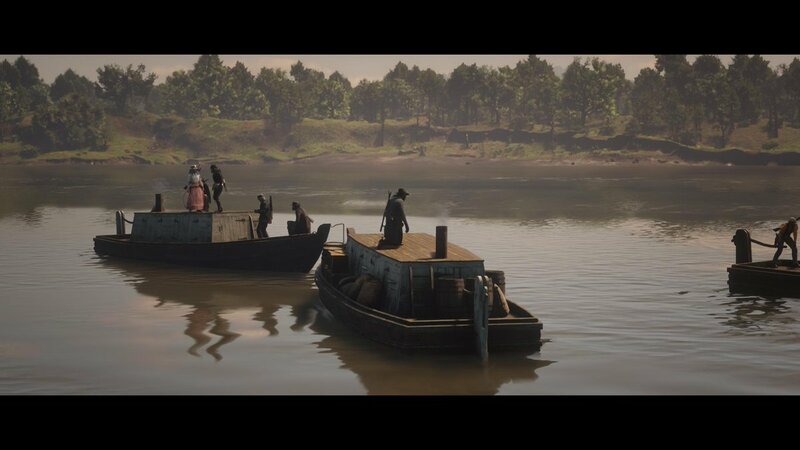 We peacefully sailed from Saint Denis to Annesburg, then from Annesburg back down to Saint Denis then straight to Blackwater. 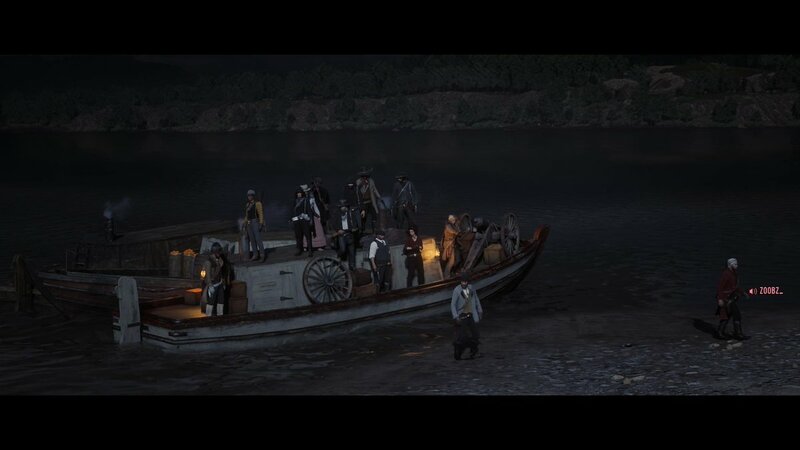 We picked up plenty of randoms during the trip who wanted to join us and most surprisingly, we didn't get griefed that much. We had a few troublemakers show up but they got intimidated by the large number of people and ran off. At the end of it all, we got onto some of those big boats you have to glitch into in order to drive and then we launched it off a waterfall. 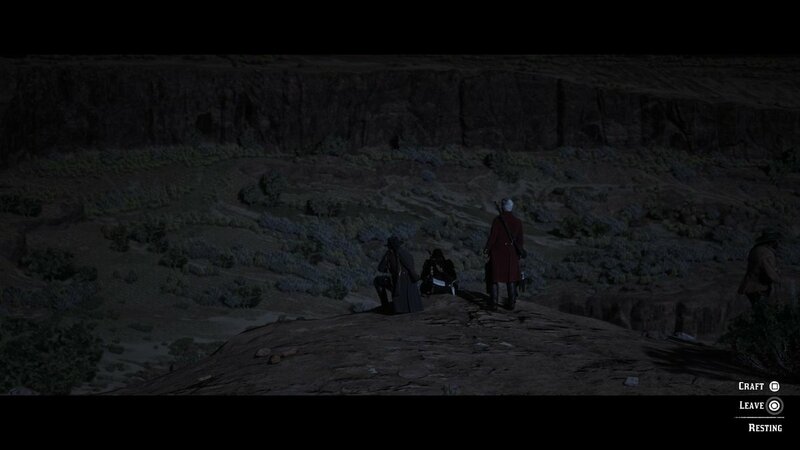 And here's some screenshots I got.